Asif is a Vice President within Richter’s Risk, Performance and Technology Advisory Group. He specializes in governance, risk management, and cyber security. He is a trusted advisor for his client organizations, from the front line to the executive level. Asif uses a client-centric approach to addressing complex challenges, by designing recommendations that are pragmatic and respond to the culture of the organization. He has a passion for seeing his clients succeed in meeting their strategic imperatives. Asif is a Certified Information Systems Auditor (CISA), Certified in Risk and Information Systems Control (CRISC), and received his MBA from the Queen’s Smith School of Business. 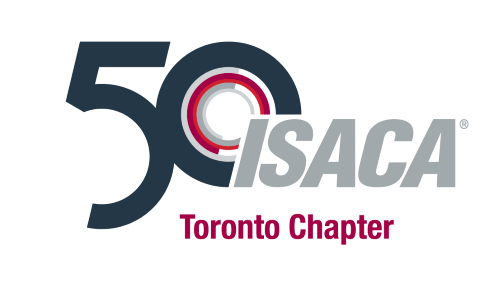 Asif enjoys serving as a volunteer and board member of the ISACA Toronto Chapter. Margaret is a senior analyst at Sun Life Financial in Enterprise Services’ IT Risk & Compliance team. She also worked in the IT auditing and Information Security departments at Sun Life. Prior to joining Sun Life, she worked in the banking and telecommunication industries. She is a CISA and a Fellow, Life Management Institute (FLMI). She also holds a Bachelor of Commerce degree from the University of Toronto and is a Chartered Professional Accountant (CPA, CMA). She currently serves on the Board of the ISACA Toronto Chapter and is applying for CGEIT certification. A versatile and seasoned leader with multiple years of experience (over 10 years) in the areas of accounting and finance, audit and IT. Najib Hayat is a Chartered Professional Accountant (CPA), Chartered Accountant (CA), Certified Information Systems Auditor (CISA) and Certified Internal Auditor (CIA). As the founder and CEO of Olympus Consultants Inc., he provides accounting, financial and IT audit, controls, risk management and consulting expertise to clients throughout North America. He has previously held management positions with professional services firms such as GrantThornton, KPMG and EY. Najib has a strong passion for information system assurance, security, enterprise governance, risk and compliance and controls and an even stronger belief in the mission of the organization. Najib is applying his several years of knowledge and experience, having worked with several other Boards, to ensure that the ISACA continues to be the leading global provider of knowledge, certifications, community, advocacy and education. Mahham is a Manager in PwC's Risk Assurance Services team. She has experience in providing consulting services to diverse organizations and also has experience in IT Auditing. Prior to joining PwC, she worked in the banking and telecommunication industries. She has completed her CISA and CA, CPA professional examinations. She also holds a Bachelor of Commerce degree from Concordia University. She currently serves on the Board of the ISACA Toronto Chapter. Ashok is an independent professional in IT Controls, Risk Management and Governance, and also Program/ Project Management. Has done Compliance and IT Controls related consulting engagements at organizations like TD Bank, John Hancock/ Manulife Financial, TELUS, Direct Energy. In addition, has also been a trainer for Project Management, IS Audit and Quality Management and done multiple training engagements. Earlier, has worked at Director / General Manager Levels of a large organization. Holds CISA and PMP certifications with Master's Degree in Statistics, Diploma in Business Management and Advanced Diploma in Computer Software. An ISACA member and CISA since 1999, Ashok has been a volunteer with ISACA Toronto Chapter since 2011 and earlier with Pune Chapter in India. In Pune Chapter (in India), had held various positions including President. Besides ISACA Toronto Chapter, Ashok also volunteers with PMI Southern Ontario Chapter (PMI-SOC) and is currently holding a role of Vice President - Member Services. Ferris is a Cyber Security and compliance manager with Rogers, Toronto. Ferris is an experienced professional with over 20 years of experience specializing in information security Governance , IT risk management, project management, compliance, operational risk, and enterprise infrastructure and operations for clients in the Telecom, financial services, construction, engineering and retail industries. Ferris has also performed information security functions for the largest public and private companies in Canada, Aecon and Symcor and TD bank. Ferris leads by Situational Leadership, and adjusts his style to fit the circumstances. He partners with senior leadership to ensure security and risk issues are identified and their impact understood. By focusing on “what is the risk,” “are we willing to tolerate the risk,” “what is the profitability and revenue generation,” and “what alternatives are available,” he empowers the executive team to make business decisions that enable and protect the business. Ferris developed leadership skills through his career i.e. communicating effectively, thinking strategically and analytically and solving problems. Carlos is an Information Security, IT Risk and Privacy Professional with almost 22 years of experience. He started his career with EY Mexico in 1996 delivering IT Audit, IT Risk, IT Governance, Cybersecurity and Privacy services to organizations in Mexico, Europe and the rest of Latin America, he left the Firm to move to Canada working for a couple of Canadian organizations in the consulting and privacy space, in 2018 Carlos went back to EY now to join the Toronto office. In addition to working for EY and volunteering for ISACA, Carlos is also an instructor for the University of Toronto School of Continuing Studies and a volunteer advisor for the Canadian Red Cross in issues related to information security and privacy. He holds the following designations: CISA, CISSP, CISM, CGEIT, CRISC, ISO27001LA and was named a Privacy by Design Ambassador in 2011. Irene is a Senior Consultant for Capgemini and is currently located in Florida, USA, where she is a project manager for a large IT transformation project at a Fortune 500 company. She has been a volunteer with the chapter for over seven years and she is currently serving as the Director of Technology taking on strategic and operational initiatives. A versatile and seasoned risk management and corporate governance leader with multiple years of experience in the areas of liquidity risk, operational & enterprise risk, regulatory compliance, corporate governance, application development, and program management. As Director, Global risk Management at Scotia Capital Technology group, Ujjwal is responsible for providing technology support to BNS Group Treasury and implementing Scotia’s Liquidity Management program including overall framework, technology implementation, data sourcing and transformation, overall governance, data quality, vendor management and operational support. Prior to joining BNS, Ujjwal has worked at KPMG as a Senior Manager, responsible for providing client support on development and implementation of risk and corporate governance frameworks, and consulting services. Prior to KPMG, Ujjwal has worked at Royal Band of Canada (RBC) on development and implementation of identity management framework and approach, business process (both financial and operational) optimization and PricewaterhouseCoopers providing strategic consulting, data management and transformation, enterprise risk assessments, selection and deployment of frameworks/technologies to meet organization’s strategic business needs.